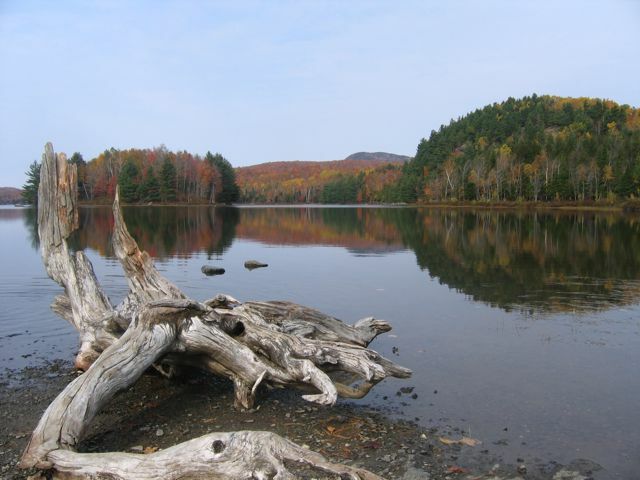 Mont Orford is the highest peak and the largest national park in the Eastern Townships. It’s run by the Sépaq so has all the standard facilites including parking, a visitor centre, camp sites and trails. In addition to the national park, the mountain also has an area reserved for alpine skiing, and when there is no snow, gondola rides in the cable car. The national park has several walking trails of different difficulty, although there is not a vast choice compared to other parks. I have the feeling that this park really comes to life during the winter when there are several cross-country skiing and racket trails. At this moment in time, the change in the colour of leaves is absolutely spectacular throughout the park and in the surrounding area. Just outside the Sépaq park is the Ski Centre Orford which is set up for skiing on Mont Orford, but during the summer offers hiking trails up to the summet of the mountain. The easy trail is about 4km long. There is also the gondola cable car which will take you up to the top for the modest fee of $6.50 plus tax. The nearest town is Orford, but Magog is near by too and has many more hotels, restaurants and shops so makes a good base for exploring the mountain and indeed the rest of the Eastern Townships. Canada is known for its spectacular display of colours during the fall / autumn season. Just outside my window I can see a wonderful display of red, orange and green leaves. But if you’re here today, where’s the best place to go to see the colours? 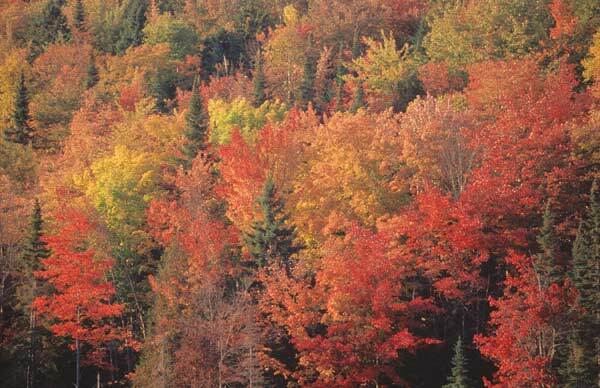 Bonjour Québec, the tourist authority offers a handy guide: the fall foliage report. According to the report, the best place to go around Montréal at the time of writing is: Lanaudière. What are your experiences of fall’s colours in Québec?